RESISTANCE IS NOT A CRIME! EXPOSING THE "WAR ON TERROR"
Call out-"Canada's place in the world" Conference : Resist Canada's colonial domestic and international agenda! 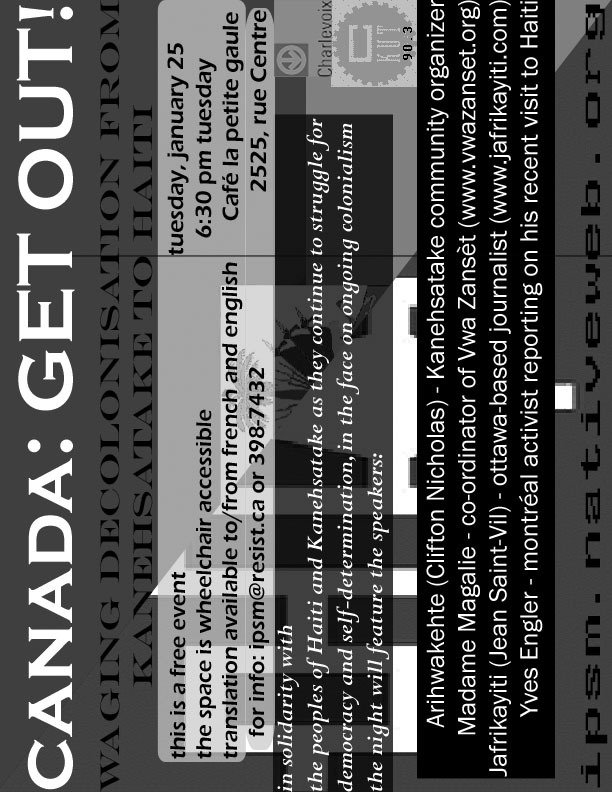 End colonisation from Kanehsatake to Haiti! 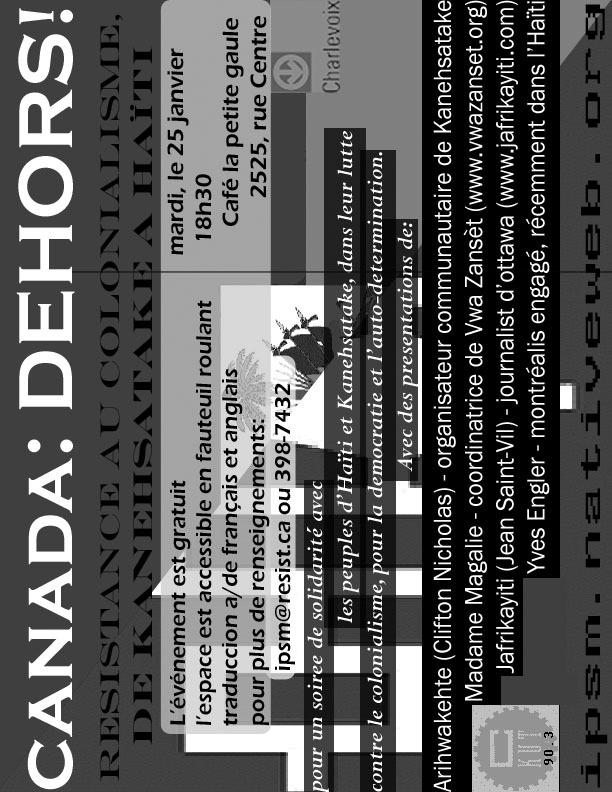 Decolonization workshop as part of the launching of QPIRG-Concordia's New Zine: "THE C"